The ingredients in the Colour Mirrors bottles are all natural products - purified water, essential oil and vegetable food colouring. The bottles are created in a sacred ceremony by Melissie Jolly, the founder of the system. Spiritual intention has been placed into the water and oil to speak the language of your soul. These bottles will reveal to you the information you have been looking for about yourself, they will answer your questions around what has been keeping you stuck, they will remind you of your soul purpose and your potential. Once you identify a colour bottle that is calling you, there are several ways in which you can connect with them and use them for support and therapy. Hold the bottle in your hand and go into a relaxed, meditative state and feel for thoughts or images that come into your mind. You can also breathe in the colours of the bottle whilst doing this then write down what happens. You can place your bottle under your pillow at night or next to your bed to help you receive insightful dreams. You can create a mandala of bottles and lie or stand in it to connect with the energy. Rub some of the oil in the bottle on your body where you feel drawn to or dab some on the back of your neck or heels. You can do this for as many weeks or months as you feel you need to until the bottle is empty. You can pour the energised coloured oils into your bath or spray the essences over your bath water before a soak. You can also pour some of the bottle over you in the shower. We recommend you use a bottle over a period of 2 to 3 weeks, but you may find the bottle guides you to use a third of it in one go or to use it over the period of a week. There are no set rules, colour is intuitive to use and is different for everyone. Feel what is perfect for you. Clients have reported back that whilst bathing with the bottles they feel relaxed, safe and at times get flashes of colour passing through their inner vision. Some people have received images from past lives. Others have felt stuck emotions being released and then there are some clients who don't have any profound bathing experiences, they simply notice that their perception on an certain issue shifts. Spray the essence on your hands, rub together to release the aroma then breathe it in. You can also spray a room or around your body, spray over crystals or even around animals. You can also spray some of these essences over the bath water or add to the bath to amplify an oil bath experience. Note: Whilst using your bottles you may notice that they begin to bubble, leak, or change in colour. 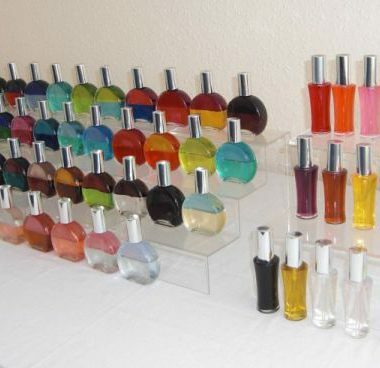 Colour Mirrors bottles are not a conventional therapy product - they are an energised system that uses oil and water to hold the information we need in order to develop spiritually. They are energy in a bottle! They work in various ways to give us the information that our soul has been trying to tell us for the longest time. We are drawn to connect with colour when we are finally ready to listen and make powerful changes. We use the power and energy of the Colour Mirrors system to reconnect us to the language of our soul and all we need do to is listen and observe the signs. If you have purchased a bottle that is doing unusual things and you are not sure what the message is, please contact Penny for guidance. To view Spray Essences click here.